Performance Edition will bring together the innovations companies need to drive amazing growth, achieve new levels of customer satisfaction and maximize sales and service success in today’s social and mobile world. SAN FRANCISCO - Salesforce.com, the world’s #1 CRM platform, today announced Salesforce Performance Edition, a new Salesforce Edition that will combine the world’s #1 CRM apps and platform—Sales Cloud, Service Cloud and Salesforce Platform—together with clean, targeted lead and customer data from Data.com, coaching and feedback tools from Work.com, trusted identity services from Salesforce Identity and more. Performance Edition will bring together the innovations companies need to drive amazing growth, achieve new levels of customer satisfaction and maximize sales and service success in today’s social and mobile world. 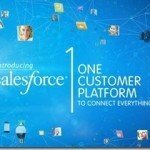 "Salesforce.com has consistently revolutionized the industry by delivering major innovations for sales and service, and we continue to get an incredible response from our customers," said Alex Dayon, president, applications and platform, salesforce.com. "Performance Edition will combine these capabilities in a single solution to make it easier than ever to become a high performance customer company." "Over the years, we’ve combined several salesforce.com innovations to create a holistic sales and service solution. As a result, we’ve been able to drive new levels of performance across every aspect of Enterasys’ business," said Dan Petlon, CIO, Enterasys. "Salesforce Performance Edition is a one-stop-shop for customer success. It will put everything we need to drive performance into a single solution." "Successful companies approach their sales and service strategy holistically," said Michael Fauscette, group vice president of software business solutions, IDC. "With Performance Edition, salesforce.com is making it easy for companies to grow pipeline, shorten sales cycles, improve sales performance and deliver a consistent customer service experience across every channel—all in a single solution." With the rapid adoption of mobile devices, social networks and cloud computing, customer expectations have changed. During this time, salesforce.com has expanded its portfolio of #1 CRM apps and platform solutions—Sales Cloud, Service Cloud and Salesforce Platform—and introduced new offerings, including Work.com, Data.com and Salesforce Identity. With Performance Edition, salesforce.com is bringing together everything leading companies need to maximize performance across sales and service. Salesforce.com’s most successful customers, including Facebook, Kelly Services, Schumacher Group and Varsity Brands have combined salesforce.com capabilities over time to transform into high performance customer companies. 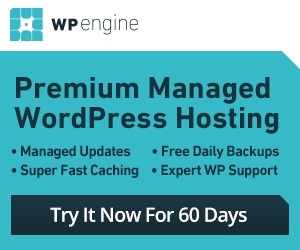 Performance Edition is scheduled to be available starting November 4, 2013, at the price of $300 per user, per month. Unlimited Edition customers can choose to upgrade to Performance Edition or continue to use Unlimited Edition, which will continue to receive enhancements and innovations during salesforce.com’s regular upgrade cycles. For more information on Salesforce Performance Edition, please contact your salesforce.com representative or call 1‑855‑855‑8822.